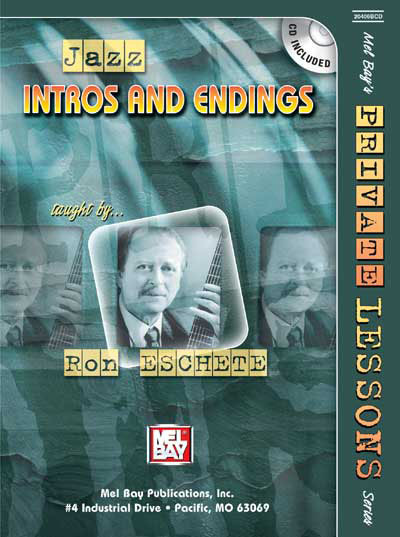 Jazz Intros and Endings offers 60 intros and endings for songs in many keys and styles. Ron is a well known and admired guitar player having played with Ray Brown, Gene Harris, Ella Fitzgerald, among many others. These harmonically rich phrases offer many great ideas and insight into creating your own intros and endings. Book is in standard notation with chord diagrams and has CD featuring all the examples.